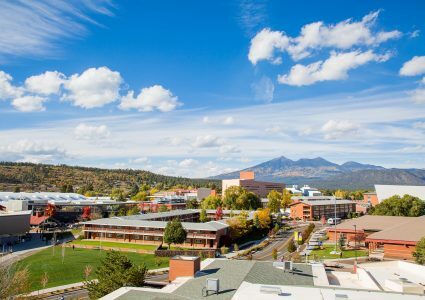 Flagstaff and the university offer a number of transportation options for getting to campus and getting around campus once you’re here. 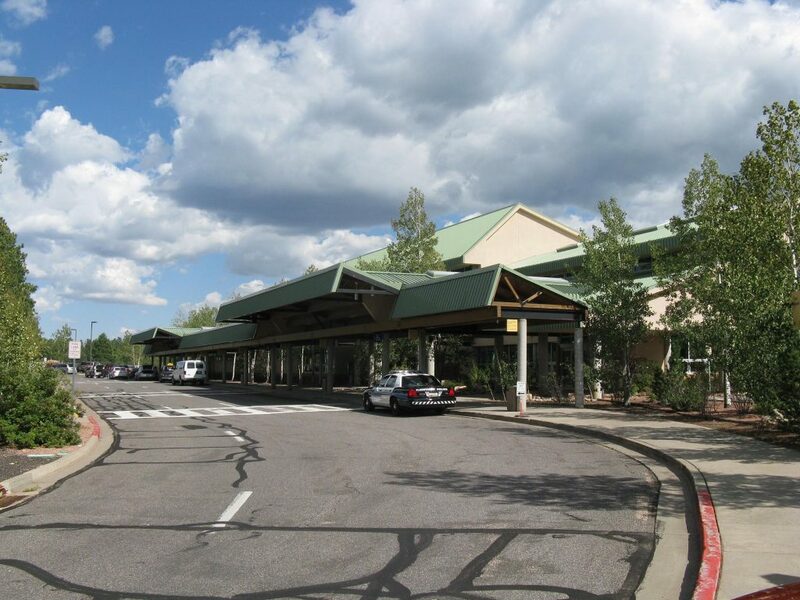 Conveniently located at the junction of two interstate highways, I-40 and I-17, Flagstaff has an airport and is served by interstate bus and train service and an in-state shuttle. American Airlines offers several flights daily between Flagstaff (FLG) and Phoenix Sky Harbor International Airport (PHX), where travelers can connect with other airlines. Air travelers can book a local taxi for the short trip from the airport to campus. 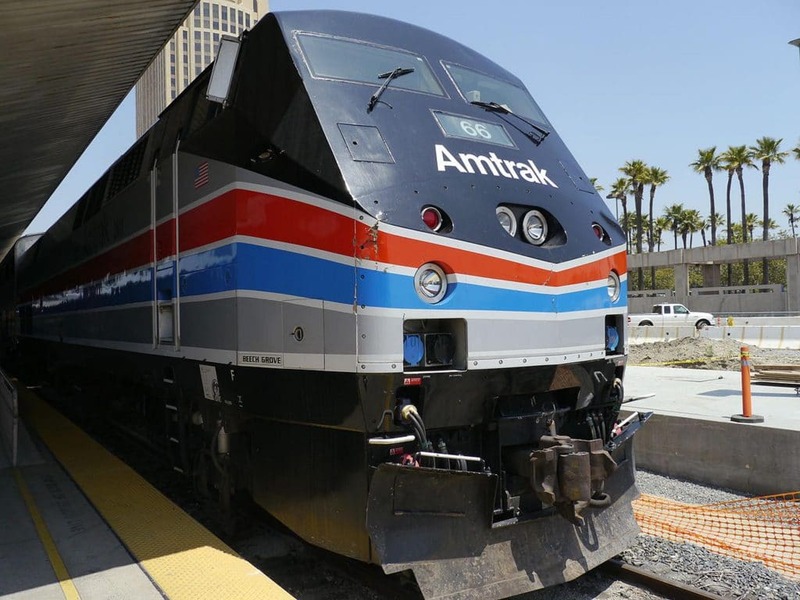 Amtrak offers daily train service through Flagstaff on the Southwest Chief line, which travels through scenic landscapes and dramatic canyons. Several Greyhound interstate bus routes provide daily service through Flagstaff. The bus station is about a mile from the northern end of campus. 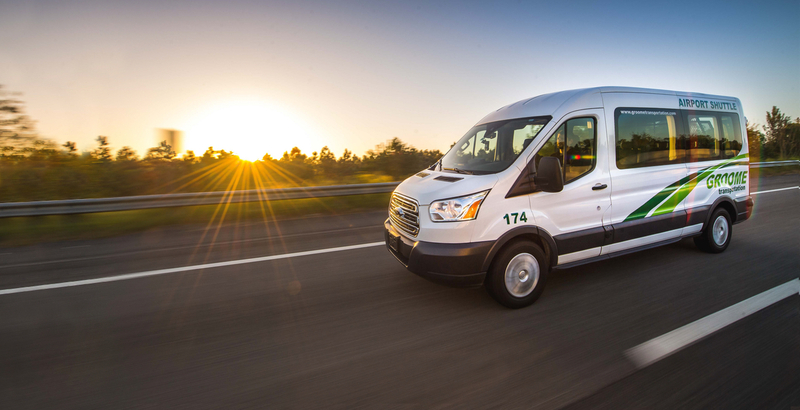 For in-state travel, Groome Transportation offers more than a dozen daily trips between Flagstaff and Phoenix. 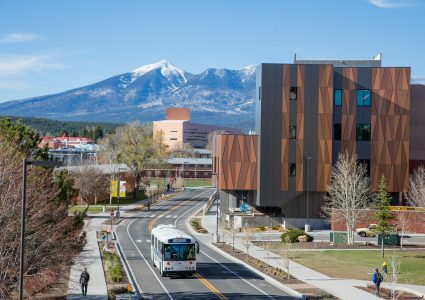 Groome Transportation has three pick-up and drop-off sites on campus: the Skydome, parking lot P31, south of the campus parking garage on San Francisco St, and University North, the bus stop at N. San Francisco St & E Franklin Ave.
NAU’s Flagstaff campus offers pedestrian-friendly paths, walkways, and trails for exploring, but sometimes even a Lumberjack’s fleet foot isn’t the best way to get from point A to point B. Choose from among several free or low-cost options for traversing the two-mile-long campus. 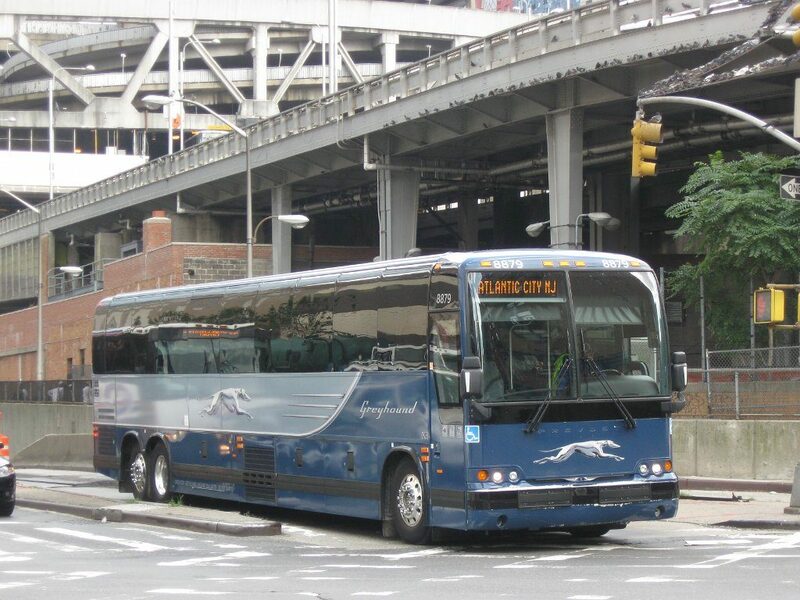 Two free shuttle bus routes serve north and south campus during the academic year. You can use the mobile website to view the shuttle locations in real time. Visit the Shuttle page for details and hours of operation. Flagstaff’s Mountain Line bus service offers the Mountain Link (Route 10), a high-frequency bus route serving NAU, downtown Flagstaff, and the Woodlands Village corridor. NAU students can show their JacksCard ID to ride Mountain Link for free. 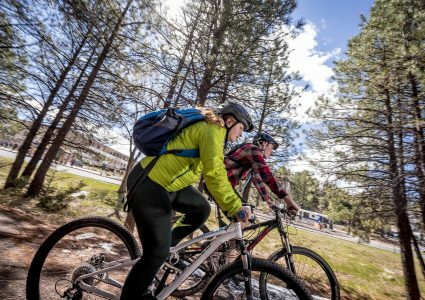 University employees can pick up a free ecoPASS from NAU’s Parking and Shuttle Services office and then ride all Mountain Line routes at no charge. The university’s Yellow Bike Program offers free bike rentals for up to seven days for students, staff, and faculty.